We warmly congratulate the Tunisian National Dialogue Quartet for receiving the Nobel Peace Prize in 2015 for their crucially important work! We are delighted that included in the list of 25, as representative of our Human Dignity and Humiliation Studies network, was Evelin Lindner, our Founding President. Her nomination is an affirmation of our global dignity work and her forty years of service and action to bring peace and dignity into the lives of all people, characterized by compassion, equal dignity, diversity, humility, and mutually beneficial collaboration. You can see more here or as Pdf. Please know that Evelin’s nomination for the 2015 Nobel Peace Prize is your nomination! As you know, our dignity work is based on the African Ubuntu philosophy of “I am because of you!” and YOUR dignity work is crucial for bringing more dignity into this world! This nomination has been an encouragement for us all. Altogether, the Nobel Committee received a total of 276 nominations for the 2015 Peace Prize, thereof 227 nominations of individuals and 49 nominations of organizations (this was slightly down from 2014, when a record high of 278 nominations were submitted). See also the preliminary list compiled each year by the Peace Research Institute Oslo (PRIO) of publicly known nominations prior to the announcement of the actual recipient. We warmly congratulate the Tunisian National Dialogue Quartet with the recognition for its decisive contribution to the building of a pluralistic democracy in Tunisia in the wake of the Jasmine Revolution of 2011. The prize was announced by Kaci Kullmann Five, Chairman of the Norwegian Nobel Committee, at the Norwegian Nobel Institute, Henrik Ibsens gate 51, Oslo, Norway. Please see the announcement of the Nobel Peace Prize 2015 on 9th October 2015. Evelin profoundly thanks all those who included her in the nomination for the 2015 prize, which she views as a nomination for our shared efforts as a dignity community. It is the courage and strength that grows through working in a deeply connected and supportive community that replenishes her energy to keep going, as we hope it replenishes the energy of all involved. As Evelin sees it, this nomination is a celebration of our decade of collaboration in which each of us does our part according to our abilities — in the spirit of Ubuntu. It is also an encouragement of our future efforts as a community. Each of us has an important role to play in this urgent effort to bring dignity and peace into the lives of all people. You are Warmly Invited to Share Your Reflections and Encourage Everyone’s Commitment to Dignity and Peace! For us, humility and modesty are at the core of dignity, and therefore also at the core of our work. Bertha von Suttner’s message is manifested in our approach more radically than may be apparent at first glance, for instance, in our emphasis on future-oriented nurturing by way of what we call dignicommunication. To be true to our stance of humility, we have considered keeping our nomination confidential. Yet, it would have been irresponsible to deprive the members of our global dignity family around the world. Since February 2015, the nomination has had invaluable results for our global community. In a world where speaking up for dignity is often difficult or even dangerous, this nomination has brought greater safety and support to members who dare to speak up, even when at risk. And since our work is profoundly in line with Alfred Nobel’s intentions, we feel that protecting the members of our global dignity family through this nomination is justified. Each of us plays a vital role in bringing greater dignity and peace into the world. In recognition and appreciation of our global collaboration, we would love to hear your reflections, that is, what inspires your efforts and ongoing commitment to cultivating dignity and peace in the world? Thank you for allowing us to share your reflections with the many members of our global dignity family. You are warmly invited to post your message further down in the comment field (your comment will be visible when it is released by the administrators). Brava! There could not be a more fitting candidate than Evelin Lindner for any peace prize. She embodies the spirit of “Wake up, people!” in such a supportive, joyful, unremittingly kind and compassionate way. I am so grateful to have been inspired by the work of all of you at HDHS. Many thanks, always. It is heartening to see that a voice of peace, of dignity and of humanness is thus honoured with a nomination for the Nobel prize. Her work has been an inspiration to many survivors of violence and conflict. Indeed, her insistence on the centrality of dignity to the human person is unique and important. Wishing her candidature all the best. Lovely to hear about the nomination! All wars starts in me, so I need to make peace with my self first. If I can’t make peace in me, how will I make it outside? That can also be a kind of comfort in these days as the world seems like a large place I cannot do anything about. I know peace one day will be my ground and keep working on the conflicts that is in me, and by that I will make less negativity around me and be acting out of love instead of reacting out of fear. I received and read your commentary about the Nobel Peace Prize nomination and all the important dignity-based meetings planned around the globe. What a dignified response to the nomination, a model of dignified relationships! About the same time, wouldn’t you know, I received the daily commentary from Michael Josephson of Character Counts. Today’s commentary of working together so very well dovetails with your message that this has to be a collective effort to improve the world. Soon, I am to deliver a Keynote Speech at a Symposium on Cultivating Moral Development in Our Grandchildren. I take grandchildren to not only mean our biological grandchildren, but our generational grandchildren. Surely, as you’ve taught and shown me, dignity is one of those moral values to cultivate. Research supports that we know know that loving kindness is a biological developmental given that can be recognized in children as young as a year old, but that the response of others can either cultivate that propensity or thwart it. Congratulations for your message as much as the nomination. I am so glad to hear that you are a Nominee for the Nobel Peace Prize! You have dedicated your life’s impressive work to Dignity and Peace, and have brought their unique and tremendous importance to the hearts and consciousness of so many people around the world! As I wrote in one of my poems (RARE FLOWER – Dignity Press), You are a “Woman of No Time”, and as long as each grain of your “Pomegranate” is a lifetime – you do not care that you’re a woman of no time! 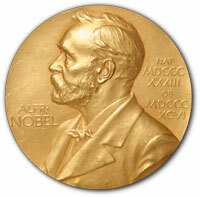 I hope you win the Nobel Laureate for Peace for in your hands, it will roll out and spread to all the lands…. Best success! Ada Aharoni IFLAC Founding President: The International Forum for the Literature and culture of Peace. Congratulations on nomination. It validates not just you but the efforts that all who have known and worked and loved what you have worked on for dignity and in the humanist tradition. The nomination is enough for this, and it is a reminder (as with every DHS mail I get) that we must be tireless in how and when we work for change. I like very much practical solutions and I think that I see that the connections and relationship building, while appearing nebulous, are actually drawing strands from the miasma of modernism and interconnectedness. Thus we can see clearly why helping others is helping ourselves to live with dignity and cooperation in ways that do not require weapons nor weaponized mentalities. I hope that I can do more and build practical alternatives such as Babele, Balance4YourLife and Club Of Amsterdam which I have been involved with over the last year. These all allow others to scale ideas beyond the personal to the collective and then the small blue dot we live on in the vastness of the cosmos. The dignity networking provides philosophies that connect with these practicalities and I wish as ever that we continue to thrive. All the best Evelin! Clearly the usual congratulatory comments won’t do! To congratulate you, as you say, would ‘sadden’ you. It would feel as though your basic message had failed, and, alas, you are not in this for the personal prize. Yet, how is it possible not to convey heartfelt, vigorous congratulations on this exquisite occasion??!! I will try to finesse the moment by, indeed, offering recognition of you, Evelin, as the most beautiful individual you are, and then, in honor of your request and in honor of your essence, by extending the congratulations to all those who have joined in your efforts, and who have been inspired by you to elaborate on your work in so many ways! Those of us who have found ourselves giving up believing that our goals can be met in time, before it’s too late…and feeling weighed down by the seeming futility of our efforts…have yet found, time and again, that we are propped back up by your sentiments – that, even if we cannot achieve our goals, it is the effort itself toward these goals that makes sense for us. In the face of humankind’s mistaken and brutally dangerous paths, you do not lose your way, nor your drive, and we are sustained by you and with you. The Nobel Peace Prize reminds us of the Faustian bargain that human ingenuity offers. We can use our ingenuity for betterment, for malicious purposes, or even inadvertently, with disastrous consequences. The candidates for this honor signify for the rest of us the best promise and potential of our human possibilities. You, Evelin, signify for the rest of us, by example and skill, which way we, as a human community, can find our best selves. To have been touched by you is enormous! Yes, in recognition of your past progress, and as encouragement for future efforts, we see that sometimes, humanity gets something right! Thank you, and wishing you every success, support, and safety as you tirelessly push forward for the benefit of all! I am delighted and overjoyed to learn the wonderful news of the worldwide appreciation of the work you and your cadre of physicians and scholars have been doing around the world. The fact of your nomination for a Nobel Peace Prize will awaken many to the significance of HumanDHS and your work in a world awash in warfare and a form of corporate capitalism that ever worsens the crisis humanity confronts, bringing about the suffering and deaths of so many innocent people globally. The impeccable drive of HumanDHS for social justice, for truth, goodness, and wisdom, let us hope and pray, will now resound more forcibly throughout the world. I vividly remember coming across your work some years ago and how it gladdened my heart. Congratulations, Evelin, for your special and unique nomination – a wonderful tribute in itself to your lifetime of total devotion to the aim and goal of dignity for all! Congratulations, dear lady, on your nomination! I remember you and Linda doing a presentation at the Summer Gathering at Hollyhock on Cortes Island in 2008 or so. As the presentation was happening, I remember thinking, “It is only a matter of time before the Nobel Peace committee recognizes this ingenious work.” And here you are! My prayers to the nominating committee for you to receive the actual win because it would support an even larger platform for you to broadcast the work. The world needs this! Congratulations to you also, Linda, because no doubt your support of Evelin and your contributions to the work is all part of the path to this nomination. My work on peace continues in a start-up organization called Dynamic Peace. We currently don’t have a website, but are working on it. We are participating in the development of a learning community in Seattle which is dedicated to bringing to consciousness aspects of the richly nurturing field of interconnectedness of the living process we are all in together. This is serving to facilitate a community dynamic in which each member gains support from the shared field both in deeply receiving the contributions of others, as well as in fully contributing his or her gifts. This is developing a richly interwoven fabric of very alive Peace. Thank you, Evelin, for inspiring me towards this direction. Light, Peace, and Love to the both of you! we have great admiration for the marvelous history of Evelin. She is an extraordinary person. I have known her since 1985. This was in a farewell of a dear German friend (Manuella Reh – God Bless her soul). Evelin noticed my pain for missing my friend. She rushed beside me and gave me much loving care and kindness. Since that time we became so near to each other. She is my dearest daughter and I am her spiritual mother. Her loving care and deep kindness was clear with all her patients. She thought of her project very early and gave much time for it. I admire her, how she could think of all in the midst of all the stress she had around her, specially her private difficult times. The project was the most important job she ever had to do in her life. She was not sure how it goes because it went too slowly before the year 2000. Her unique personality gave her the chance to work with wonderful team, specially Dr. Linda. We hope her courage and strength with the group replenish the energy of all and this big effort brings dignity into the life of all people. CONGRATULATIONS my dear daughter Evelin. You deserve it and it is a wonderful sign of appreciation for your work. Thank you Dr. Linda, thanks for all the team. Good Luck. I have had the privilege of working with Evelin, Linda and many others connected to HumanDHS for nearly 10 years now. Initially I had a wonderful task of posting information about all the positive initiatives taking place around the world with regard to peace, sustainability and Ubuntu (authentic humanness). I have since been given a title ‘Appreciative Nurturer’ probably because I enjoy reaching out to those who I saw had common visions to that of HumanDHS and connecting up where possible. All of this would not have been possible without the vision, determination and resilience of Evelin and Linda followed by the wonderful and numerous connections with all of those associated with HumanDHS. Maybe the biggest thing for me was to be able to tap into the knowledge from Evelin’s ‘intercultural voyaging’ through her ability to speak many languages and her sensitivity and love to appreciate the dignity within the culture of any community she comes in contact with. I have also found through the HumanDHS network, there is an infection within the human creative spirit to transcend the past and go on to create more peaceful, appreciative and sustainable societies. I am not able to think of a more worthy nomination than Evelin Lindner for the Nobel Peace Prize. I am delighted to learn Dr. Evelin Lindner has been nominated for the Nobel Peace Prize 2015. She highly deserves this recognition for her single-minded and tireless contribution towards making this world a planet where dignity rules for ever. Yes, when I was reading her book, A Dignity Economy: Creating an Economy that Serves Human Dignity and Preserves Our Planet  some 2 years ago, I felt she was heading for Oslo. I felt the message of this book was an extension and articulation of Mahatma Gandhi’s ideal of a non-exploitative economy as highlighted by an eminent Indian economist, the late Dr. V.K.R.V. Rao, in his monograph, The Gandhian Alternative to Western Socialism. I was fascinated by her incisive and penetrating analysis of how the finance subsector in the tertiary sector of the economy was controlling all the other activities without adding anything of its own to GNP. I recalled how in her doctoral research a student of mine found that one third of the jobs advertised for were in the marketing function: which means a third of our Human Resource is spending its time in an unproductive, competitive marketing. Again, the pathetic life of Willy, the hero of Arthur Miller’s Death of a Salesman flashed across my consciousness: Willy, as I understand the play, pursues money compromising his dignity all along and finally committed suicide – not for the sake of honour but for the sake of money from insurance that would help his son launch a business. Willy lives without dignity and dies – not for honour like the wild ox referred to below but for money. As I used to walk on a main road of Madras there was a man dressed up in the regalia of a Maharaja, the icon of the Indian Airlines, stand on the footpath at the entrance of a well known hotel, and politely invite every passer by to come in. Seldom, as far as I have seen, anybody responded to his indiscriminate invitation to every passer by. with his basic human dignity inappropriate! I am sure he would have been stultified if I tarried on the side walk and tried to explain my position. In other words, our culture conditioned and commanded by the economy rules out any room for human dignity. So, over and above the quality of the items the hotel was serving, this man, its very proprietor who must be much more wealthy than I was, was selling his regally dressed dignity as a bonus. ‘Let the God who created this world get lost if any man has to resort to begging for survival’. Like the wild ox that will pine and languish to death when it is bereft of its hall mark tuft, men of honour will die when they suffer loss of dignity. Yes, the author Thiruvalluvar had pronounced more than 2000 years ago human dignity is priceless and non-negotiable. That was Thiruvalluvar’s vision presented to humanity some 2000 years ago. What Lindner has done is to adopt such a vision as her mission, dig deep into the various dimensions of the dynamics of humiliation and give us a blueprint for its eradication once and for ever. Her book, A Dignity Economy: Creating an Economy that Serves Human Dignity and Preserves Our Planet is the result of her living as a citizen of the world and observing how the contemporary capitalist economy, especially, financial capitalism and the emerging electronic capitalism, by which huge fortunes are made and unmade instantly and a life time of ‘wealth’ disappears into a void – an electronic void, leaving many players paupers and ensconcing one or two into the prestigious ‘Fortune 500’ club. Yes, the economies of the whole world, now fast merging into an increasingly turbulent cauldron, do not permit anyone to escape. Everyone of us is becoming not just a ‘One Dimensional Man’ a la Herbert Marcuse, but a ‘Nil Dimensional Man’, vanishing into the flickers of electronic capitalism. We are losing our reason, we are becoming more and more superstitious because the electronic capitalism is spinning fast out of our capacity to think through trends and take decisions – even at our individual micro levels. In a viva voce for Ph.D. in superstitions in 1987 or so, I told the candidate I have found film producers and those in the financial sectors visibly more superstitious than the rest of us and asked her why it is so. She answered, ‘Sir, those in high risk professions are prone to be more superstitious’ and went on to add, ‘Fisher folk are more superstitious than farmers’ etc., I have since reflected on this phenomenon in my Facebook post on ‘Superstitions in Corporate Decision Making’. Adam Smith, who bet on the invisible hand of reason to usher in the Wealth of Nations must be turning in his grave. Nor can Gunnar Myrdal’s Asian Drama-An Inquiry into the Poverty of Nations, as far as I remember, can offer a valid way forward. Myrdal advocated a modernizing elite seizing the initiative and by a quick dose of legislation bringing about normative social change. I am afraid such an experiment in Iran [I am writing from memory, I may be wrong about the country; vide Daniel Lerner, The Passing of the Traditional Society] in which the Shah of Iran took initiative ended up in recrudescence of religious fundamentalism and fanaticism which is spreading around the world. Dr. Lindner’s work reckons with all these pitfalls. She is painfully aware of the depth to which the disease of economy has penetrated societies and the human psyche around the world. But she calls for cheerfully waging ‘good conflict’ for dignity. Again, her book reminded me of Ankie McGoovert’s Sociology of Developing Societies [1977?] in which McGoovert calls for an ‘alternative cultural route for economic development’: that is, a program that does not demand giving up the positive elements in its culture for a nation to develop economically. Dr. Lindner calls for an economy that will empower any and every individual and not humiliate them. She not merely calls for it, she has adopted it as her mission, offers a flexible blue print and her book electrifies the reader to commit himself/herself to its steady and central vision. She is also demonstrating its feasibility by her lifestyle. She is an illustration of Mahatma Gandhi’s declaration about himself: ‘My life is my message’. In my understanding Dr. Lindner has made a lasting contribution for the benefit of the world by awakening us to the central role of humiliation in the outbreak of conflicts, to the value of human dignity, her exemplary, personal demonstrative lifestyle; by the synthesis of her observation, experience and scholarship into a social psychological framework for a program for initiating a flexible, deeply thought out rolling plan for reform of the global economies. My heartiest advance congratulations to Dr. Lindner – as an individual, as Editor of Experiments in Education. Peace often eludes us. We strive to achieve it like if it was a state, which once reached will be there, it will last. It will not, because peace is predetermined by the common agreement and frequent re-agreement of people, by tolerance and mutual respect, by a degree of openness and humility… it is more fruitful to view peace as a way of being not a state of being. Peace as a state of being is fragile but as a way of being peace is more cohesive. Living in peace needs to be studied, in our day and age, it has to be constantly reminded, spoken about, theorized, practiced, applied and analysed. Peace depends on the common understanding of its principles by people of diverse cultural and social backgrounds in ever changing social and cultural circumstances. Evelin Lindner studies peace and she lives it. Dr. Lindner lives peace by relentlessly explaining the damaging effects of humiliation, potential seeds of non-peace. A humiliating environment is not only not peaceful it can pollute the minds for generations. Dr. Lindner constantly journeys around our planet and with relentless enthusiasm and the sensitivity of a diplomat listens and talks about the need for practising non-humiliating ways of being human. Evelin literally embodies theory and practice by walking the talk. Dr. Lindner is most deservingly nominated for the Nobel Peace Prize because she lives peace globally. I am excited to learn of Evelin’s nomination and as an indigenous knowledge systems proponent and researcher, particularly on Ubuntu or Buntfu Lobuqotfo, this nomination is a testimony on how Africa is the cradle of humanity. As Dr. Lindner is a living example on how the application of Ubuntu can bring about global peace; her lifestyle is noble for the thought of being a global citizen is an ultimate learning experience for all of us. May this nomination become an important learning experience for all of us who are committed to global peace, and may it be a source of inspiration and encouragement to Dr. Lindner on how her life and lifestyle has been worth it. I met Evelin twenty years ago at the UN in New York where we were both presenting on conflicts. She opened my eyes to the role of Human Dignity and Humiliation in conflicts. Ever since then, I have had my senses open to how often, directly and indirectly, through nuances and sarcasm, people degrade each other whether in an argument or peaceful dialogue. How often then the ‘others’ swing back and become deaf to reason. In my work building museums of peace in conflict zones, I have been confronted with such situations, and constantly I have been seeking knowledge in indigenous cultures (utu/ubantu) that could help to understand the destructive emotions of humiliation that lead to revenge and consequently conflicts and violence. Thank you Evelin for this awareness in me. I cannot think of a more worthy candidate for the Nobel Prize than you who brings us home to our being – how hurting others takes away the dignity that leads to enmity and how nurturing respect and esteem in groups create goodwill to resolve issues. This is wonderful news that Dr. Evelin Lindner has been nominated for the Nobel Peace Prize based on her pioneering work on Human Dignity and Humiliation Studies structured on the Ubuntu philosophy. In a world that continues to confront a myriad of challenges – poverty, social tensions, violent conflicts, displacements, and refugee flows, it is necessary to explore the need for our world to redeem and revitalize values such as caring, sharing, and respect for one another. Evelin and her followers on the human dignity journey are right to construct a worldview on this indigenous African philosophy of Ubuntu, which proclaims that a person is a human being through other human beings. Stated differently, as individuals we cannot live without affecting the lives of other human beings. Our lives intertwine in several reciprocal relationships and acknowledging this human reality should promote good relationships between and among people predicated on a culture of caring for one another, sharing, and respect as a sine qua non condition for ensuring the well-being of the collective whole. In her human dignity framework, Dr. Evelin Lindner, may impact the creation of a new moral world order aimed at achieving more humanized societies because of more caring, happy and disciplined individuals. How members of a society relate to each other daily and how they make decisions and address common problems depends on the humanity they see in each other in keeping with the Golden Rule which Pope Francis in his 2015 visit in the US reminded us to do unto others as we would want others do unto us. Tons of Congratulations, Evelin.